Home / Credit Repair Blog / Apartment Rental Application – How Credit Matters. 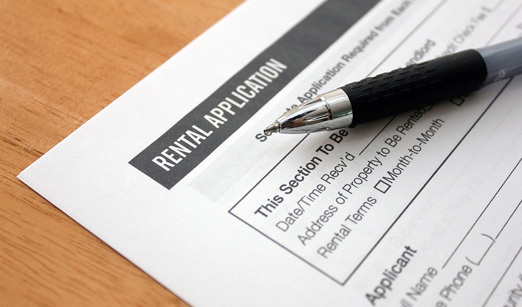 Apartment Rental Application – How Credit Matters. Every now and then, you encounter someone who says that they don’t need credit because they pay cash for everything and they don’t want to buy a home. No mortgage, no credit cards, no need for credit, right? Unfortunately, this view is dead wrong. Your credit score comes into play in a lot of agreements: job offers, insurance rates and, yes, apartment rental applications. When you put in an application for an apartment, chances are high that you will be asked to submit to both a background check and a credit screening. While they will be most concerned with your rental history, particularly whether you have ever been evicted for non-payment, they’ll take a look at other areas, as well. Because of the bad economy, many landlords are hesitant to rent to people who have historically had problems paying their bills. It makes sense; if you are unable to pay your rent, they wind up losing thousands of dollars. This is why building a history with positive records of credit use is imperative. Even if you never want to borrow, you will still wind up in situations where people are taking financial risks on you. Can You Rent with Bad Credit? Look for privately-owned properties. If you are dealing with a person who owns a small apartment building or has a house that she rents out, your chances of having to undergo a credit check are lower. Plus, you have a chance to personally explain any smudges on your credit. Offer a larger deposit. If you have the cash to do so, offer a larger security deposit. This can give a potential landlord peace of mind. Offer to have rent automatically deducted each month. If your rent is withdrawn automatically from your checking account each month, the landlady does not have to worry about whether you remember to pay the bill. Work on emphasizing your best features. Have you been at the same job for several years? Are people you rented from in the past willing to give sterling references? This can help. Get a co-signer or roommate. If you have someone with stronger credit who is willing to vouch for you, it can help stack the odds in your favor. While it is possible to rent with bad credit, it’s easier to rent with better credit. Look at your credit report to find the areas where you can most easily improve. Everything from taking off erroneous black marks to building credit history with a secured card can help. Over time, as your credit gets better, you will find that your housing options improve. For more information regarding our credit repair program please click here to request a free consultation.